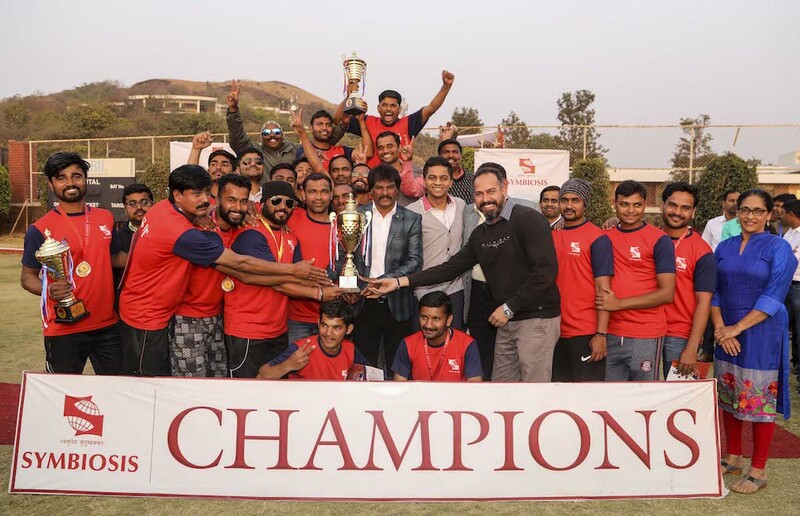 Pune: I am proud to be born in Pune, this is the place that made me what I am today, says the Hockey Legend Mr Dhanraj Pillay at the prize distribution ceremony of ‘Symbiosis Staff Sports Fest- (SSSF) 2019’. We can see that there is an increase in the sports participation by the people of our country from last five years and the credit goes to the current government for deploying the strategies for sports like ‘Khelo India’. “I came from a poor family where there were no facilities for me to play hockey but I had a strong desire to play for our country and I did it, I played for more than 30 years and I am satisfied with my achievements”, he added further in his talk. At the end of his speech he gave a message to the audience stating- “sports can keep you fit and healthy, stay away from all types of bad habits and you will be happy in your life”.